Dry eye symptoms are caused by occasional lack of sufficient lubrication and moisture on the surface of the eye. That is why tear quality is essential for good eye health. Maintaining the omega-3-lipid component of the tear leads to healthy tear composition and helps support continued lubrication for the eyes. • Decreased tolerance of activity requiring sustained visual attention. Dry Eye Omega Benefits® offers a safe and effective way to increase your recommended Omega-3 daily intake without the fishy aftertaste of so many highly concentrated fish oil or other OTC Omega-3 vitamins. Just 4 soft gels a day provides 2-3 grams of Omega-3s in the re-esterified triglyceride form. 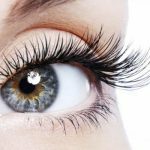 Omega-3’s are one of the foundations for treatment of meibomian gland dysfunction as well as dry eye treatment. Follow up appointments may be recommended throughout the year to monitor your progress. Eye Omega Advantage® supports eye health with an equal ratio of EPA and DHA (1:1) and the inclusion of Lutein and Zeaxanthin. 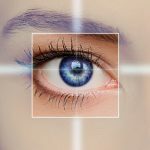 This is important for those patients who have a family history of Macular Degeneration. 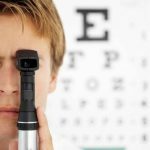 Part of your annual comprehensive eye examination will discuss family history as will examine your retina thoroughly every time to monitor any changes. For those patients diagnosed with or showing early signs of Macular Degeneration, Macular Vitamins Benefits are recommended. Macular Vitamin Benefits is formulated based on the results of the AREDS2® study. This comprehensive nutriceutical product offers lutein & zeaxanthin, a full B-complex (B6, B9, B12) and the natural form of Vitamin E for comprehensive eye health. Again, a full retinal evaluation is performed with every comprehensive eye exam and changes will be monitored. Based on your Nampa eye doctors recommendations, a combination of any PRN Nutraceuticals may be prescribed. As well as follow-up visits to monitor your progress and/or changes. 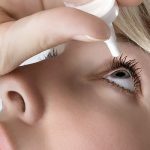 LipiFlow, by Johnson & Johnson, is a new and specialized medical therapy to improve meibomian gland function and give sustained relief from dry eye irritation. We are proud to offer this effective breakthrough treatment at our eye care center.